For those suffering though Demerol addiction, entering a Demerol detox and rehab program is the key to learning to live life drug-free and happy. Your Demerol addiction is slowly destroying your body and mind, taking over your life and hurting those closest to you. Demerol is a narcotic analgesic with many actions similar to morphine. The general therapeutic effects of this drug are analgesia and sedation. Demerol is used to relieve moderate to severe pain, as a preoperative medication, and the support of anesthesia and for obstetrical analgesia. Demerol is a Schedule 2 Narcotic, which is in the same category as codeine, morphine and heroin. It is an extremely dangerous and addictive drug. 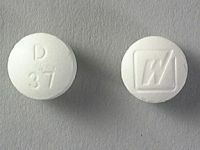 Demerol, also known as meperidine, is similar to other opiates such as Vicodin, Dilaudid and OxyContin. It is found in pill form or syrup and is only legally available through prescription. Side effects include confusion, convulsions, dizziness, drowsiness, low blood pressure, and slow heartbeat. Whether it is due to the reduction in pain or an elevation in pleasurable feelings, a person suffering from Demerol addiction begins to take more Demerol than what has been prescribed. This abuse almost always leads to a mental obsession and a craving for more of the drug. As Demerol use increases, so will the physical symptoms associated with its abuse. Demerol addiction is both physical and mental. Because Demerol is physically addictive, it should not be discontinued abruptly during the Demerol detox process. Severe Demerol withdrawal symptoms as well as seizures or convulsions may occur if the use of Demerol is dramatically reduced or eliminated. It is for this reason that Demerol withdrawal should be gradual and performed in a qualified Demerol detox program under strict medical supervision. The road to recovery from Demerol addiction begins when the individual admits that they have a problem. But the treatment of that problem cannot start until the individual has undergone a Demerol detox program. Drug detox is the crucial first step that must be completed before the psychological component of drug rehab can get rolling. Demerol detox (or "detoxification") is the process of allowing the harmful toxins associated with drug abuse to leave the body. Drug detox is achieved when an individual stops taking Demerol and enters into a period of abstinence supervised by a medical professional. Why must this process be overseen by a professional? Because during Demerol detox, the individual is likely to experience uncomfortable withdrawal symptoms (mentioned above) that can cause health problems or even bring about a relapse into drug use. If you believe you or someone you know needs Demerol addiction help, or for immediate assistance finding drug rehab centers that specialize in Demerol addiction treatment, please contact us now.